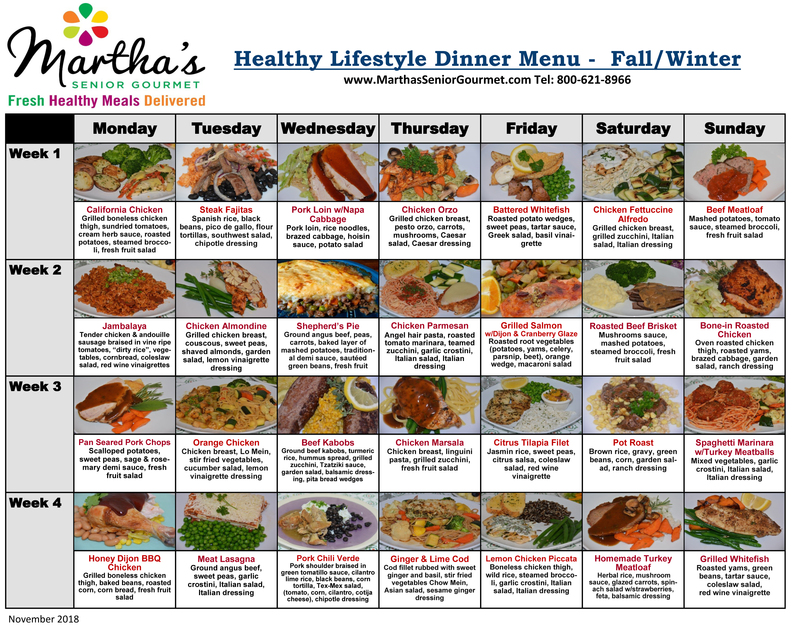 Dinner Menu - Healthy Prepared Meals Delivered! Never pre-cooked. Never Frozen. Our chefs prepare the meals fresh daily. We use fresh in-season ingredients (some items on the menu may change based on ingredient availability) with no preservatives, no canned food and no pre-processed components. 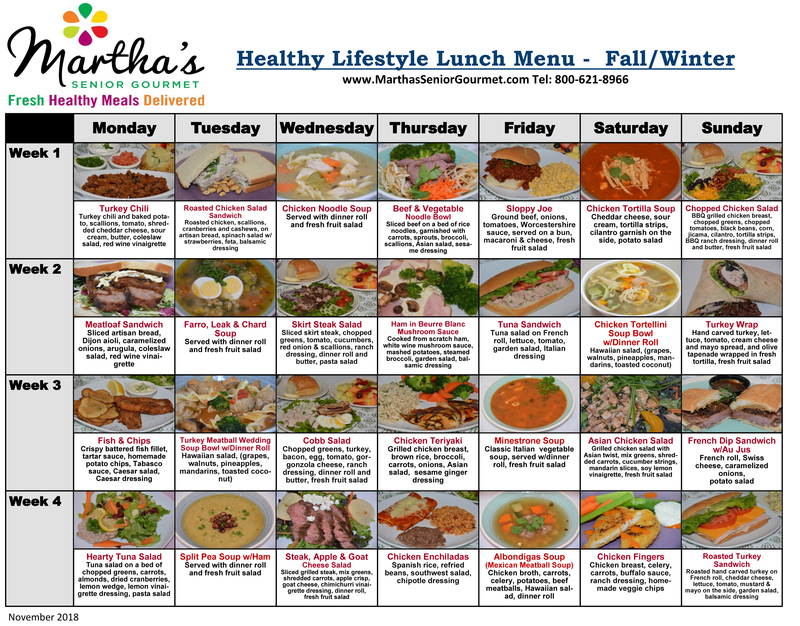 Our home delivery meals for the elderly are made so you can enjoy the flavors and different tastes every day of the week.